This weeks book was provided to me for free in exchange for an honest review. 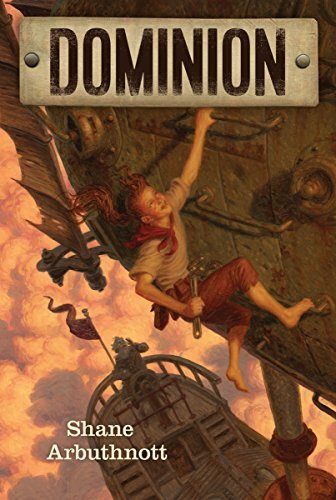 Terra Nova is the follow up novel to Dominion, taking place shortly after it's ending. 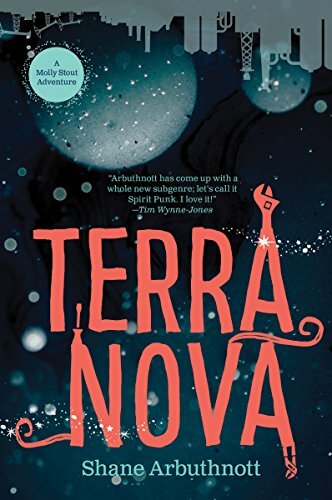 Molly and her family have teamed up with the Unionists, a faction of people fed up with Haviland Industries and their exploitation of the poor of Terra Nova. While the two groups don't see eye to eye about the spirits, they unite under the common enemy of Haviland Industries to break into factories, freeing the workers and spirits alike. The rebellion becomes increasingly more dangerous as Disposal agents become equipped with more advanced weaponry and a formidably adversary comes back into the picture. As Molly risks everything for the cause she believes in, she questions herself as those she loves the most are put into jeopardy. Will Molly's rebellion finally crush the oppressive regime of Haviland Industries and if so, at what cost? I'm not sure if Molly Stouts adventure ends here, or if Arbuthnott has more up his sleeve, but this is definitely a series I would continue reading if so! READ MORE BOOKS REVIEWS HERE!